Photo Provided From left at Stadium Field on Nov. 2 are Parkersburg High School Athletic Director Chris Way, Joe Weaver of the PHS Alumni for Athletics, Pat McFarland of the PHS Stadium Field Committee and PHS Principal Kenny DeMoss. 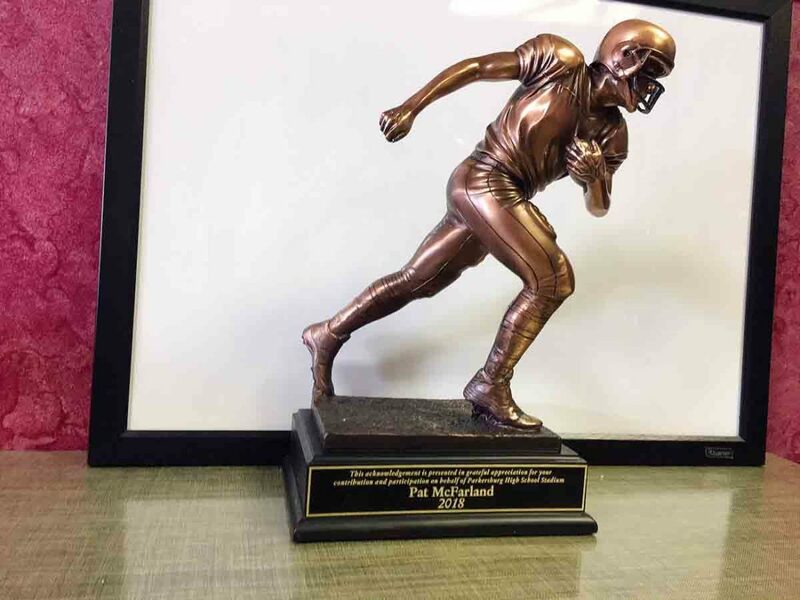 Photo Provided Pat McFarland received this statue for his work to improve Parkersburg High School’s Stadium Field. 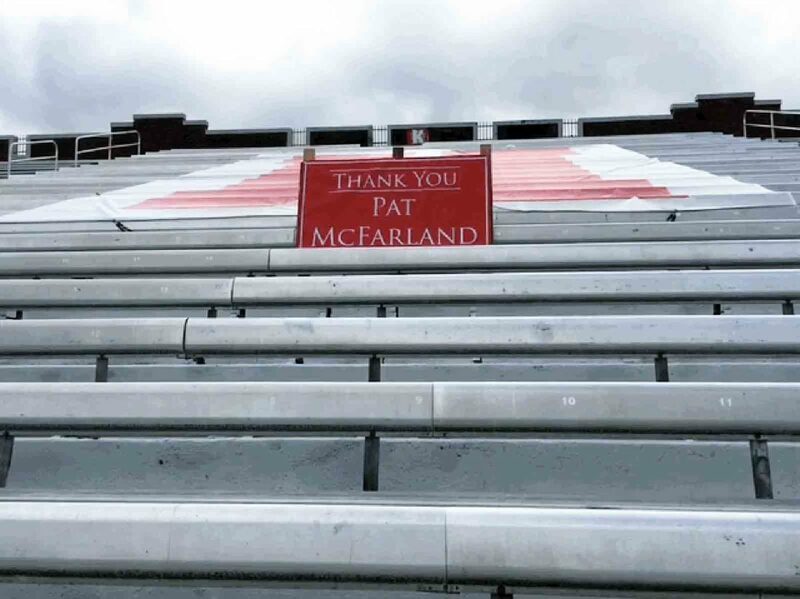 Photo Provided A sign in the grandstands at Stadium Field thanks Pat McFarland. 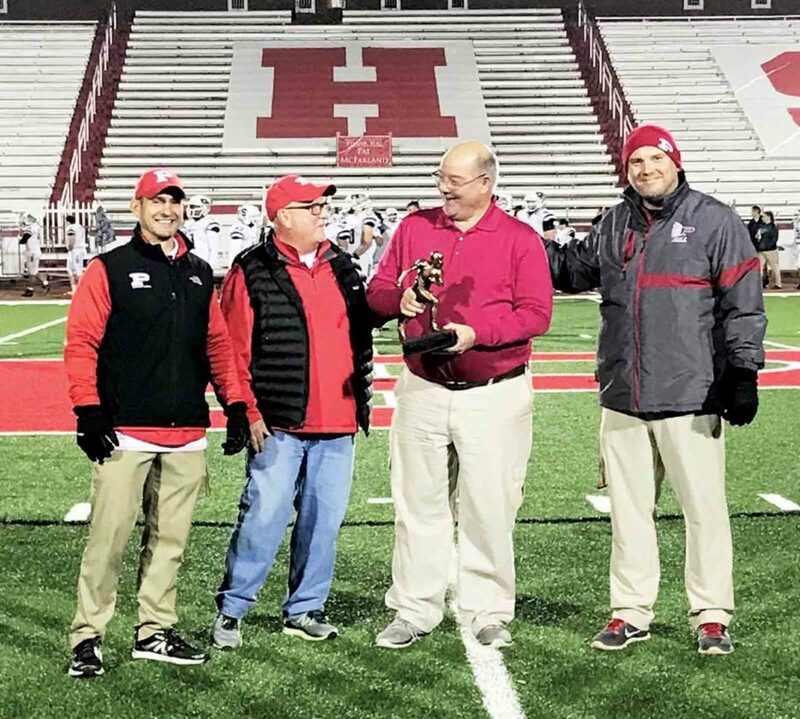 PARKERSBURG — Pat McFarland was recognized last Friday night for his efforts to improve Parkersburg High School’s Stadium Field. At the end of the first quarter of Friday’s PHS-Parkersburg South football game at Stadium Field, McFarland, president of the Parkersburg High School Stadium Field Committee, received a 20-inch bronze statue from PHS Principal Kenny DeMoss. Also representing Parkersburg High School at the ceremony was Athletic Director Chris Way, while Joe Weaver, as president, represented PHS Alumni for Athletics, which sponsored the award. McFarland has spent many hours working on the project to improve Stadium Field, said Larry Richardson, a member of PHS Alumni for Athletics. “We wanted to acknowledge all he had done,” Richardson said. The PHS Stadium Field Committee spent money this summer to clean up and paint the closed east-side grandstands at Stadium Field. Vegetation was growing in the grandstands area. 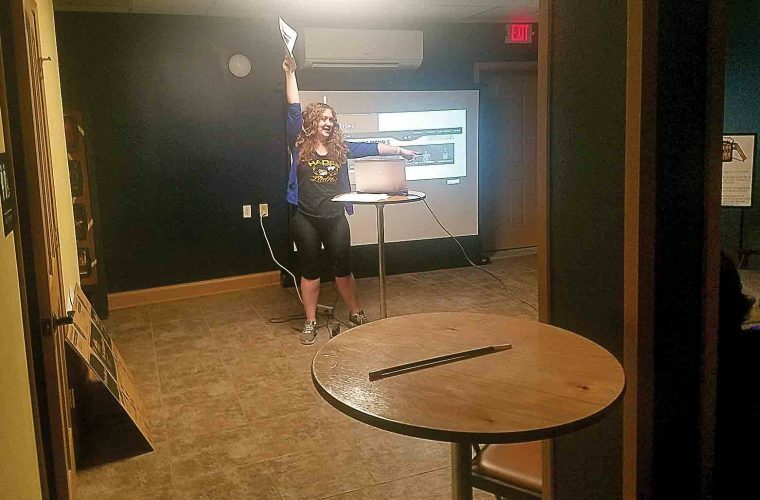 Local businesses helped on the stadium improvement project, McFarland said. Information on the Stadium Field project can be found at phsstadium.org. Scheduled next is a plan to rebuild the track, McFarland said. A contract is in place, with work scheduled to begin in May 2019 following the end of the upcoming track season, he said. 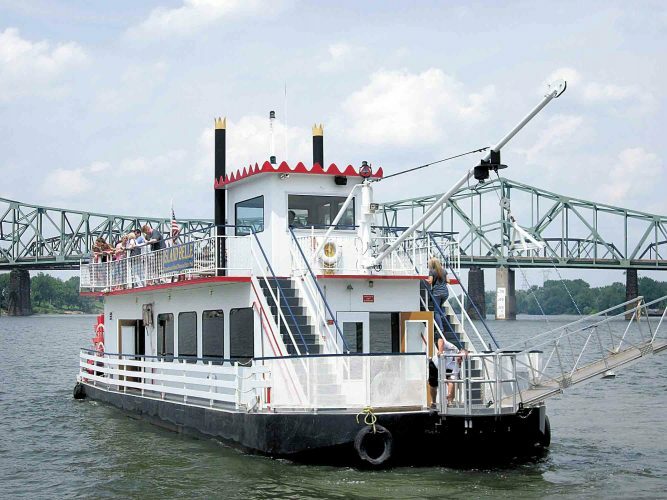 Architect James Sauer of JT Sauer & Associates has been contracted to prepare a general plan, cost estimates, rendition drawings and 3D Modeling for the proposed new east-side grandstands, McFarland said. Fundraising plans are being discussed for the new grandstands. McFarland said he is confident the community can continue the work to further improve Stadium Field.